First, I am excited and proud to announce that I have been asked to be a columnist for the website: Proverbs & Wisdom. In addition to my column I will be an editor for their mini-magazine. My goal is to incorporate my expertise as Today’s Working Woman while promoting empowerment, encouragement and enlightenment in order to help individuals become wiser and reach new levels of success. This is the mission of Proverbs & Wisdom and I am thrilled to be a part of it! The new site is ready to launch tomorrow, so hopefully, my first column will be posted. However, in the coming weeks and months I will be providing links to all of my columns as well as other projects that I have been privileged to be a part of as an editor. Second, as many of you know (or not know for that matter), I have been writing for the Examiner.com for some time. Examiner.com has partnered with CBS Local for an exciting new program, Assignment Center for Examiners (ACE). They asked me to apply and after reviewing my application, they extended me a special opportunity to write for the San Francisco CBS Local – Travel & Outdoors beat. Since they could only invite a small handful of Examiners for this new program, I was selected based on my high-quality contributions and effective localization. Needless to say, I am beyond excited about this opportunity as it means I will have content on the San Francisco CBS Local website for my category of Travel and Outdoors. Now I know that it probably looks like I have not spent too much time traveling and being outdoors, but the fact of the matter is that yes, I have traveled quite extensively across the U.S. since I was very young. The fun part of this is that I will be writing about things that I never thought I would and being able to share them with my local San Francisco Bay community. Keep in mind that the CBS Local website can be seen nationally, so I will have the opportunity for more national exposure to my writing. How cool is that! I will let you all know when my first article is published. 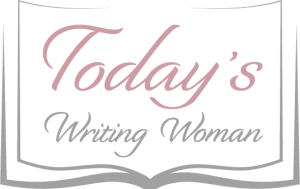 Third, in the coming months I will be working on providing a new feature to the Today’s Working Woman website. The date has not been finalized, but I will be putting together my first Podcast sometime in 2012. So if there are any ideas that you would like for me to talk about, now is the time to share those with me. I look forward to hearing your ideas and such and hope you continue to follow me along this amazing journey that I have started with Today’s Working Woman. And finally, while it seems like I am very busy with all of these projects, I still plan on my continuing with my other writing projects, including my book reviews (which are now being posted in multiple locations – more about that to follow soon), writing my novel and cookbook, and writing my other articles that I contribute to Yahoo! Voices and the Examiner.com and for the three blogging communities that I have been apart of for approximately the last year. Well… what do you think? I hope you are as excited as I am about all the upcoming changes for me! I know it sounds like a lot, especially since I said I wanted to simplify things in my life. Actually, when I sat down and worked this all out, it really did simplify everything going on in my life as it gave me the direction that I had been seeking for some time. There are still some areas in my world that need further organization, de-cluttering and simplification, but that will all happen in due course. Oh, and lest I forget, I still have a surprise or two up my sleeve for later! Hoping everyone had the Happiest of Leap Days!